Team news ahead of Tuesday night's League One clash between Hartlepool and Oldham at Victoria Park. 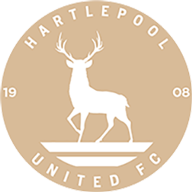 Hartlepool's new manager John Hughes will be boosted by the return of Steve Howard and Evan Horwood for his second game in charge. Striker Howard missed Hughes' baptism of fire on Saturday - Pools lost 5-0 at home to Coventry - through suspension, but is expected to return, while defender Horwood missed out at the weekend through illness. Number two goalkeeper Adam McHugh is also hoping to return to the squad after missing the Coventry game with an ankle problem. Winger Andy Monkhouse stepped off the bench at the weekend to make his first appearance in six weeks following an ankle injury, but is expected to start on the bench again, while teenage striker Luke James remains sidelined following a double hernia operation. Hartlepool are chasing their first win since September 1, 17 games ago. 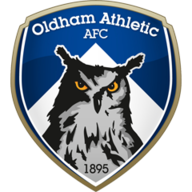 Oldham can welcome back captain Dean Furman and vice-captain James Wesolowski to their side. The central midfield duo both missed Saturday's 4-1 defeat at Bournemouth through suspension, after picking up five bookings, but are ready to make an immediate return to manager Paul Dickov's starting line-up. Robbie Simpson and Youssuf M'Changama came in to replace the unavailable pair, but are not likely to keep their places after being substituted in a dismal second-half performance for the Latics. Left-back Jonathan Grounds will not feature at Victoria Park after he picked up his fifth yellow card of the season against the Cherries. Connor Brown and Reece Wabara will battle to replace Grounds, with David Mellor a third option after returning from a loan spell at Chorley. Dickov's men have slipped into the bottom four after three defeats on the bounce and will be looking for a vital win against John Hughes' Pools.